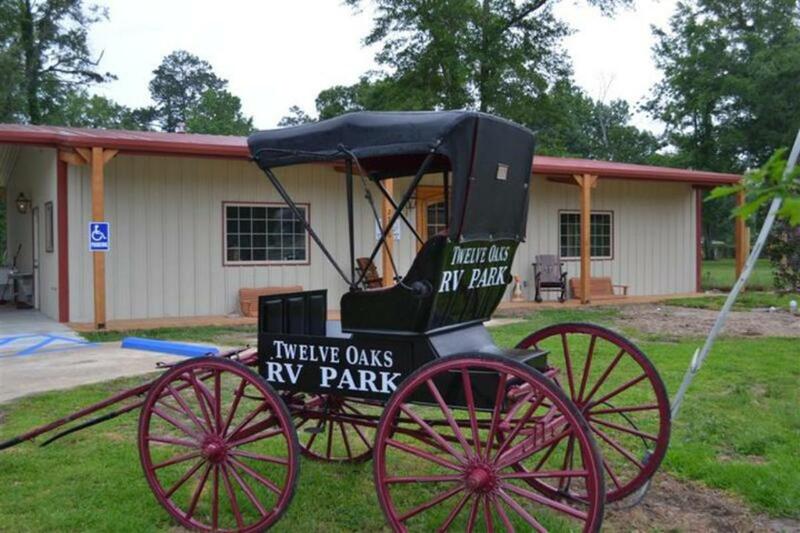 Twelve Oaks RV Park is located in Lake Charles, LA., just 1 mile north of I-10. Close to many Lake Charles Cajun Restaurants and local Lake Charles attractions, including Casinos. This RV Park in Lake Charles is brand new, finished in March 2011 and is close to a Super Wal-Mart. This Lake Charles RV park offers 64 large concrete spaces for any size RV or travel trailer and features pull thru spaces. We have full RV hookups, including Wi-Fi, daily, weekly and monthly rates. Credit Cards Welcome.